Father’s Day Fun in Raleigh, N.C.
Father’s Day is Sun., June 19, and here in Raleigh, N.C., there are some good bets for a great day with Dad, whatever age groups you, Dad and the rest of the family unit fall into. If Pops is old school, he’ll love the scene at The Alley, the bowling lanes on Hillsborough St. across from North Carolina State University. Once called Western Lanes before undergoing a restoration, this venerable Raleigh landmark dates back to 1960. Today there is a nostalgic, vintage &apos;70s feel. Scores are still kept with pencil and paper. But there are modern amenities now as well. In addition to the 24 original hardwood lanes, The Alley features multiple HD TVs showing sports and a terrific sound system that they&apos;re not afraid to crank. The full-service restaurant and bar serves excellent food, beer and cocktails. Always fun for groups. If Dad likes his bowling venues on the swanky side, you may opt for Kings North Hills. These cushy digs offer 18 bowling lanes plus billiards, ping pong, foosball, shuffleboard, darts and air hockey along with a chef-driven restaurant and sports bar. With little folks looking to have fun with Dad on his special day, Marbles Kids Museum is hosting DIY with Dad Day. Design, invent and construct original creations made with anything from giant cardboard boxes and drills to tiny tubes and glue. Have fun with creativity and imagination, and build it together! All this in the coolest children’s play space in Raleigh, headed up by president and passionate mind Sally Edwards. The event is free with museum admission of $5 per person. Just up from Marbles on Hargett St., the Raleigh Times Bar will be hosting its 3rd Sunday Children&apos;s Carnival from 11am-3pm. The kids can enjoy special activities including games, sidewalk chalk and bouncy castles while Dad chooses from their award-winning craft beer selection. Another option guaranteed to please both Dad and crew is Boxcar Bar + Arcade, the Warehouse District hangout offering classic and modern arcade games, plus many TVs as well as an excellent selection of craft beers and spirits. In addition to games like Galaga, Tetris, Frogger, Pacman, Donkey Kong and many others, Boxcar Bar + Arcade also has skee-ball, table hockey, air hockey and two flat screens connected to Atari, Nintendo, Super Nintendo and Sega Genesis consoles. 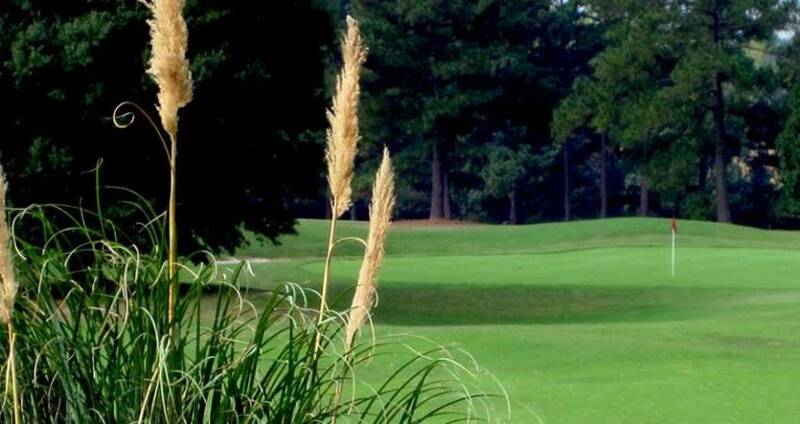 For Dads who need their golf on a Sun., Raleigh Golf Association (RGA), the historic public course on Tryon Rd., provides a fun and affordable way for the family to come along. First opened in 1929, RGA is the second-oldest golf course in the Raleigh area. Legends Sam Snead and Gene Sarazen played here in the 1930s, and Arnold Palmer walked its fairways as a collegian at Wake Forest College. At 5,545 total yards from the white tees, RGA is walker friendly. Greens fees for Sunday play are $30 to walk and $40 for a cart, with carts required before 12:30pm. We love you, Dad. Have fun!